Built into the natural contours of the Cheshire countryside, Oulton Park’s combination of stunning scenery and spectacular racing make it one of the most picturesque and best-loved circuits for spectators and competitors alike. Oulton Park celebrates its 60th anniversary in 2013 and remains just as popular with fans thanks to the superb views of the circuit available from the spectator bankings. Crowds of up to 35,000 regularly visit the circuit for the annual round of the British Touring Car Championship. 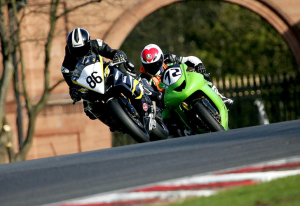 As well as the BTCC, the Cheshire track hosts two rounds of the British Superbike Championship and the ever popular British F3/GT on Easter weekend.